One of the Warriors top players and starting 5 is now “taking some time off” after an eventful week on and off the court. The drama all started last week on the court during the game after Green grabbed a rebound off a Clippers miss with 6 seconds left taking the ball for himself and missing the game-winning shot, instead of passing to Durant. 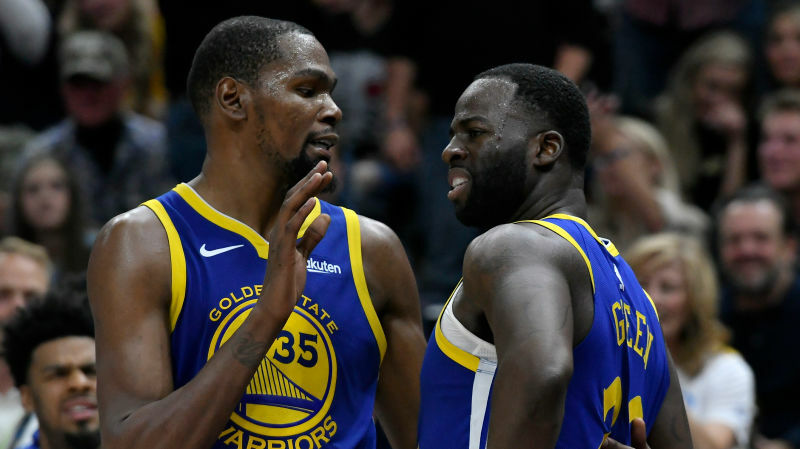 The exchange between Green and Durant, which began on the court and quickly moved back into the halls and into the locker room, ultimately ended in Green being suspended for one game with no pay. According to Yahoo Sports, Green called Durant a ‘b***** multiple times and shouted, “You’re a b**** and you know you’re a b****.” The tipping point apparently came when Green was challenging Durant to “leave” the team come his this summer. The initial injury to his toe happened during a game on November 5th where he missed the next two games. Many fans and Twitter users are not buying this “injury” as a reason why Green will be having some time off, especially since Green played 27 minutes in a game after his two games off. Rumor has it this “time off” is most likely for the feud between Green and Durant to fade. Time for the team to focus back on the game and for the media to be able to talk about the injury over the argument. There has also been speculation that Green will now possibly be traded but there is no evidence or real truth behind any of these claims. 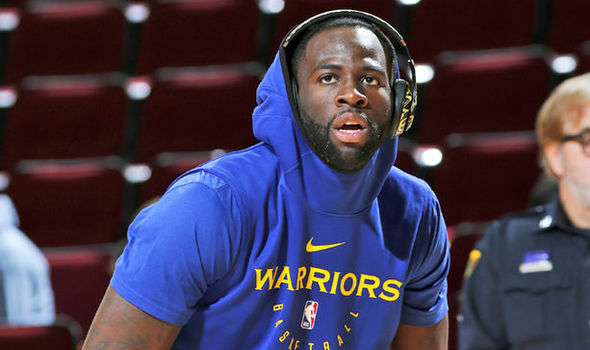 Whether it really is the injury, or maybe just some time off the court to cool down we hope to see Green back on the court soon and who knows with what jersey that might turn out to be. bnkekvpglo,Hi there, just wanted to say, I liked this article. It was helpful. Keep on posting! sdpbrl,Waw! Its really great and wonderful ever i found. Thank you for sharing this info. cdugshsjyyp Yeezy Shoes,Thanks for sharing this recipe with us!! hrtlchsb,Very informative useful, infect very precise and to the point. I’m a student a Business Education and surfing things on Google and found your website and found it very informative. hgkirwpo,Definitely believe that which you said. Your favourite justification appeared to be on the net the simplest thing to remember of. qamotaewcab,Very informative useful, infect very precise and to the point. I’m a student a Business Education and surfing things on Google and found your website and found it very informative. ndanlvx,Wonderful one thank you so much ! mlpxwzf,If you want a hassle free movies downloading then you must need an app like showbox which may provide best ever user friendly interface. moksbofjc Yeezy Boost 350,This website truly has alll of the information and facts I wanted about this subject and didn?t know who to ask. lugwoqxp,Waw! Its really great and wonderful ever i found. Thank you for sharing this info. I don’t have time to read through it all at the minute but I have bookmarked it and also included your RSS feeds, so when I have time I will be back to read a great deal more, Please do keep up the excellent work.